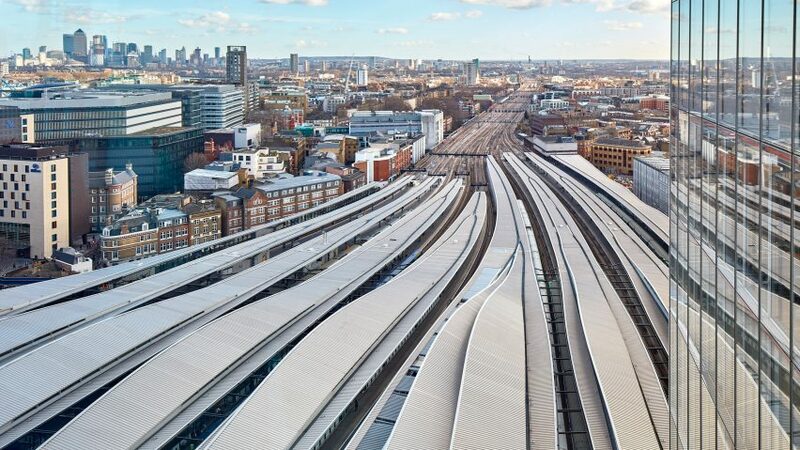 Grimshaw has completed a £1 billion refurbishment of the 19th century London Bridge station next to the Shard, covering its rearranged platforms with sinuous grey canopies. 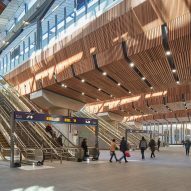 Together with engineering firms Arcadis, WSP, and main contractor Costain, global architecture practice Grimshaw delivered the station overhaul for Network Rail in stages, removing two platforms at a time. Modular design and off-site construction was used to minimise the disruption to one of the UK capital's biggest transport interchanges. London Bridge, which opened in 1836, is one of the oldest train stations in the world and the oldest railway terminus in London that is still operational. It's the fourth busiest station in London, with 50 million passengers travelling through each year. 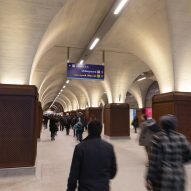 The modernisation has increased capacity, so that the station will be able to handle up to for 90 million passengers per year in the future. 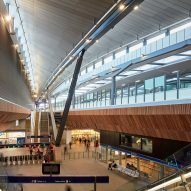 "The successful delivery of London Bridge station is a highly complex feat of design and engineering," Mark Middleton, partner at Grimshaw, said in his statement. 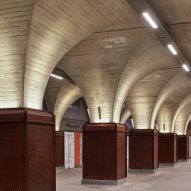 "As architects, our vision for the station was to create a great civic space that connected two communities, and respected its Victorian heritage whilst providing a modern, functional and enjoyable experience for train passengers." 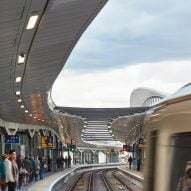 The number of through platforms was increased from six to nine, with the number of terminus platforms reduced from nine to six in order to accommodate the expected increase in passenger numbers. According to the architects, the roof was designed as a "series of ribbons" from 1,200 pre-fabricated cassettes that come together to form a single structure when seen from the air. 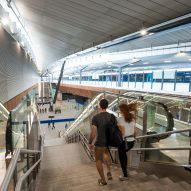 Below the platforms, a new concourse larger than the pitch of Wembley Stadium is 80 metres wide and 165 metres long, creating more space for passengers to change to the buses and underground trains that run from the station. Monumental bridge deck columns, crossheads and Y-shape columns of grey steel are tempered by timber panels of red cedar timber on the soffits. 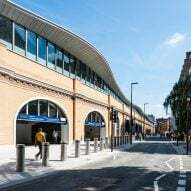 Two new entrances on Tooley Street and St Thomas Street reference the existing Victorian arches, and new public areas integrate the station with a wider program of regeneration in the borough of Southwark. Construction work began on site in 2013, and the station was officially re-opened by Prince William in July 2018. 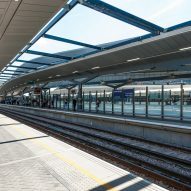 Refurbishing London Bridge Station is part of the Thameslink Programme, a £7 billion government-backed investment in rail transport running north to south across the city. Grimshaw is one of the architecture practices selected to design the stations in London and Birmingham for HS2, England's new high-speed rail link. The architecture firm is building the third runway at London's Heathrow Airport, and acting as lead designer for the new terminal one at New York City's Newark Airport. Photography is by Paul Raftery except where stated.